I see so many beautiful shoes here at Babyology which are almost always for little feet so I can’t believe my luck that these moccasin style loafers fit both little girls and bigger ones. Truth be told, I’m a little envious of my nine-year-old daughter’s foot right about now. There are two gorgeous styles of Mooky footwear in the range and leather is used for both uppers and inners, which I love. A funky looking moulded rubber sole that gives great flex and grip will ensure there’s no accidental slip-sliding around. 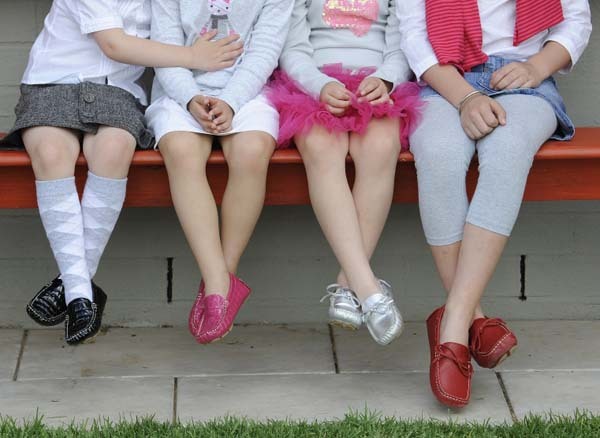 Mooky shoes are designed to fit girls aged as young as three (size nine) right up to little misses of ten (size four). Mooky Moc-Croc Moccasin has a sensational shiny patent finish which I adore. Available in both sensible black and pink, the pink colour is truly jaw dropping and a fun colour little girls will love to wear. The Mooky Moccasin has a classic deck shoe appearance with a buffed natural leather finish. Available in popular silver and red they will complement little girls’ outfits all year round. Moccasins and Moc-Croc Moccasins are priced at $69.95 from Mooky. Mooky Moccasins can be delivered all over Australia.